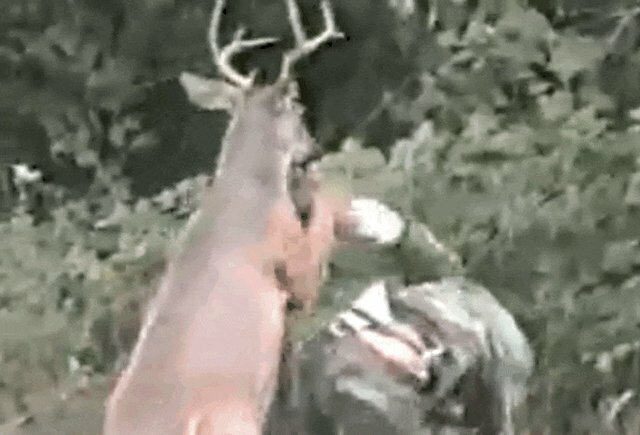 A video making the rounds on the animal-loving internet perfectly captures everyone's exasperation with people killing animals for fun. 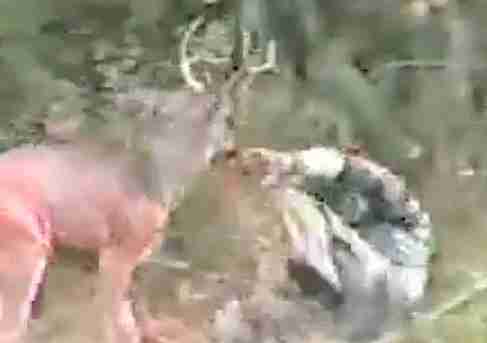 The footage shows a wild buck who, upon seeing a hunter clad in camo, TOTALLY loses it. He rears up on his hind legs and uses his front hooves to push the hunter away. 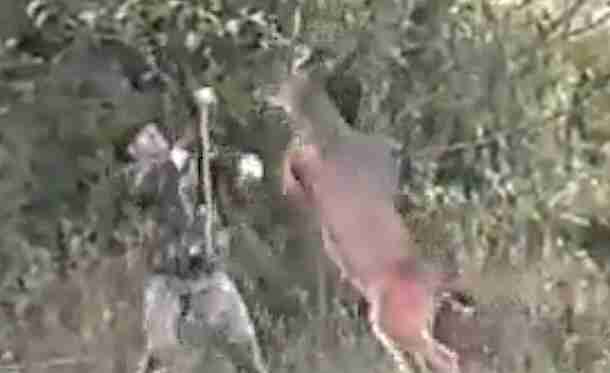 Even after the shocked hunter stumbles back, the buck pursues him, bounding after him through the grass. 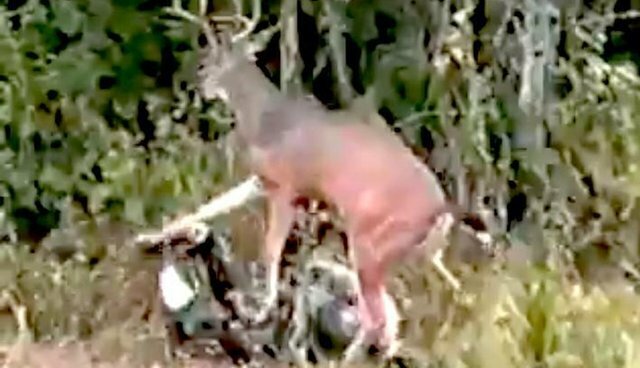 Animal lovers rooted for the deer: "see now theres a fair sport," one commenter wrote on Facebook, "this time everyone knew they were in the game!" 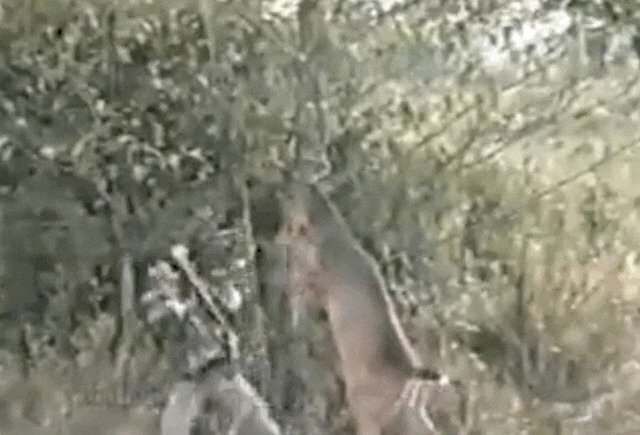 But pro-hunters took to the comments section to defend hunting, some idiotically: "get over your selves buttercup, simply because NONE of you are man enough to go in the wilderness and kill an animal which by the way if it wasn't harvested, would simply die of starvation in most instances;" and others in a more nuanced way: "If anyone wants to protest anything about the unethical treatment of animals I would advise turning the attention toward the meat industries." Like many animal-related issues, it becomes complicated. And, of course, we don't want to condone violence, since the surprising situation could have been fatal for the man. ... and feel a slight sense of justice.